The latest blog post on 'Broadgate Is Great' lists "85 ways to build community". These are ways of building 'Social Capital', the invisible glue that holds communities together, makes people feel happier, and actually be healthier and live longer, better lives. 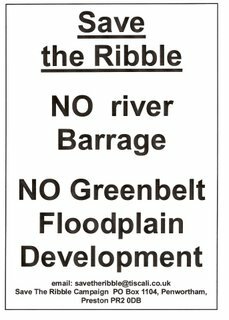 The list includes organising walking tours of local beauty spots, organising campaigns to defend community resources, going to local meetings and speaking up for your area, all activities we at 'Save The Ribble' became dab hands at in our campaign to keep our beautiful river free from the Riverworks Barrage. 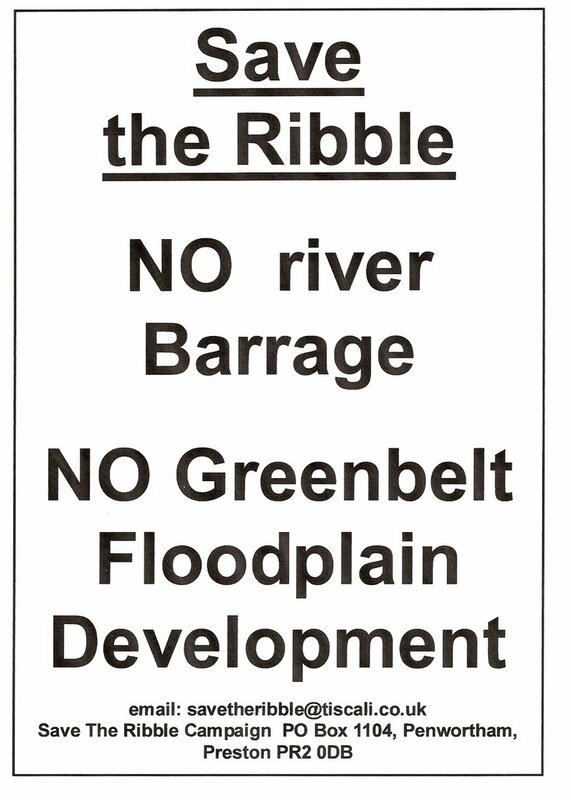 It's nice to know that not only did we stop the barrage from being built (at least for the time being), but, without even realising it, we were also helping to build 'social capital' in the communities neighbouring the Ribble. Last summer, around about this time, my friend Neil and myself decided to take a canoe trip on the river. The mission was to head out toward the estuary near Lytham returning on the incoming tide alive and still smiling. We borrowed an old, battered, 12 foot Canadian canoe from a friend and headed to the concrete launch next to the sea cadets on strand road. With paddle in one hand and canoe in the other we tiptoed down the bank avoiding the dog turds and broken glass. After wading through a few feet of off -white scum we boarded our vessel and set forth. It was midday, not a cloud in the sky and the sun was beating down on our bare skin. We had timed our launch to coincide with the change of tide, an hour or so after high tide. This meant we were travelling with the river as it flowed out to sea. Our encounter with James Bond had left us somewhat shaken and a wee bit stirred. However we recaptured our serenity and continued on our way, slightly slower than walking pace and slightly faster than driftwood. As we made our way under the electricity cables towering above us and onward to the river Douglas the difference between Neil's and my personality became apparent. Neil flirts with cynicism and seems at home with the incongruous, so he cast his gaze, ears and mind to the right; the northern bank. He heard the high pitched shrill of the motor-cross bikes revving and racing their way through a Sunday. 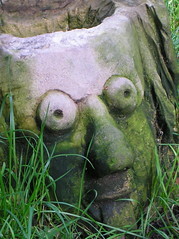 He pondered on the ramifications of radioactive effluent seeping into the Ribble from Savick Brook. He bent his head backward offering up his nostrils in the hope of catching a whiff of the large land-fill site and he stared into the distance hoping to get his first glimpse beyond the small wooded screen of the factory which produces weapons of mass destruction. I on the other hand like things as they should be, if anything my sensitive nature leans more to the romantic. So I kept my thoughts and eyes to the left; the south bank. Green banks of well cropped grass, bleating sheep, and weathered hawthorn bowing to the east was the order of the day for me! We stopped at the Douglas tributary for a leg stretch and a bite to eat before continuing our journey. Our plan was to get as far as Lytham, pull alongside the promenade, disembark, down several cold beers in the nearest pub whilst waiting for the tide to change then head off home. Reality had other ideas. It soon became apparent as the tide continued to drop and the channel became narrower that we were picking up speed, not by much, but enough for both of us to realise the possible consequences. As the thoughts of being spat out to sea and heading off to Ireland or worse still America dawned, tomorrow's headlines began to write themselves in my head: “Two Bearded Terrorists Smelling of Fish Captured off Boston Coast” or “Barrage required: Safety of Canoeists Paramount.” With that very much in mind we pulled over to the northern bank, the Lytham windmill in view across the large expanse of silt. The mud flats on the northern bank are intersected by small channels about 6 feet wide and it was in one of these channels we now found ourselves. Water was continuing to drain as the tide dropped so it wasn't long before the bottom of the canoe was sat more on mud than in water. As I attempted to climb out in readiness for the long walk across to the promenade my leg sank up to the thigh in the mud. I heaved myself with great effort back aboard and the two of us recognising our predicament frantically tried to free the canoe from its land-locked environment. Not easy! A good 10 minutes of aerobic exercise eventually saw us free and back floating in the narrow channel of the Ribble. Even though the tide had practically reached its low point it was still a struggle paddling back up-stream as we headed for safe ground 200 metres ahead. Thirty minutes later we were stood on terra firma, Neil's back bright red with sunburn and me one leg white and the other blackened with silt. We were opposite the fenced perimeter of British aerospace with about 3 hours to kill before the tide turned offering us our lift back to Preston. So we temporarily left the canoe and set off on foot to Warton in search of refreshments. It’s a surprisingly long walk but eventually we were heading back to the peace of the river with a few cold beers for company. On our return we were greeted with the tranquil ambience of a summer's evening by an English river. We dragged the canoe into the water and sat pointed towards the skyline of Preston. Bathed in the sunset and not a ripple on the surface of the river we sat watching as nature did its thing. A flock of birds passed back and forth in front of us, each change of direction the flock made reflected the evening sun in a captivating iridescent light show. Knowing time was getting on we started paddling homeward but the progress was painfully slow. About 10 or so metres ahead were a line of ducks, it appeared they were mocking our pitiful efforts but I think in retrospect they, like us, were waiting for their lift. We were just about to throw in the towel, convinced that the tide was having the evening off, when we heard the unmistakable gurgle of moving water. We both turned our heads to see the approaching bore, and what a sight! Behind the 8 inch high wall came a turbulent, broken mass of Irish Sea water gently lapping the banks as it regained old ground. In front a silky smooth reflective surface of unbroken water. Poised for action, paddle in water and head cast back over shoulder, we waited. It felt just like the Guinness advert, except unlike galloping white stallions we were faced by little white mice! That's not to belittle the event, I can promise we were both buzzing. We hooted like cowboys as the back end of the canoe lifted and our strokes matched the pace of the moving water. We were off! Riding the Ribble bore homeward bound. Fantastic! Incompetence and a leaking canoe prevented a sustained surf at the sharp end and the mice finally got away. We had to content ourselves with a back seat view and watch on as rocks disappeared from sight engulfed as the itinerant tide graced our river. Although we were forced to stop on a few occasions to bale out the wet stuff, the continued speed of the incoming tide enabled us to arrive back at the sea cadets in time for last orders, and that has to be a good thing! 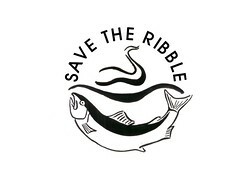 ... but a fabulous Ribble phenomenon nonetheless. 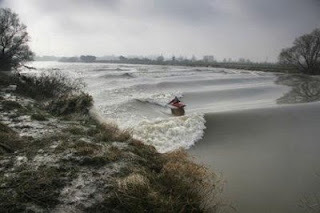 The Severn is of course under serious threat of a barrage, and we hope that sense prevails and the alternative options such as tidal reefs or lagoons are pursued instead.